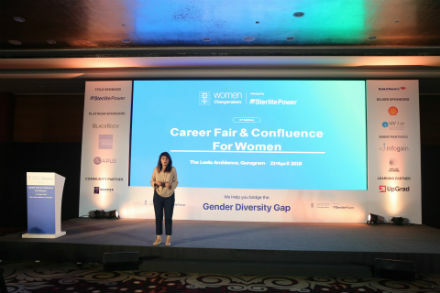 Gurugram: Women Changemakers, gender diversity hiring vertical of Stockroon.io has successfully rolled out its third edition of Career Fair & Confluence for womenheld at Leela Ambience, Gurugram to connect female jobseekers with gender diversity-conscious employers. The event held at Gurugram’s Hotel Leela Ambience saw over 500 excited job seekers throng to the venue. Being an exclusive platform for companies and talent, this one day career fair and confluence provided the attendees with an opportunity to network with women leaders from various established organisations. It also helped the female talent explore career opportunities by giving them a chance to discuss with recruiter and apply for a job on the spot. The one day career fair began with the talks by eminent speakers – Mini Mathur, well known Indian television personality, Manya Ranjan, Head of Strategy division at Sterlite Power and Ritu Gupta Mehrish, Executive Coach and many more who shared the important industry insights in interactive and energizing sessions to impart tangible tools that anyone can apply to their business or career. The speakers touched upon diverse topics like work-life balance for women and how gender diversity hiring is a cultural issue in companies. 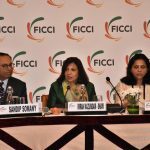 The talks addressed a lot of the problems being faced by career women in India and were very well received by the audience. The talks were followed by the career fair where companies like Sterlite Power, APUS, BlackRock, American Express, SBI Life insurance, Infogain and many more participated. These companies showcased their job opportunities, gender diversity and inclusion initiatives, and also interacted 1:1 with the talent at their booths fielding queries from enthusiastic job seekers and accepting job applications on the spot.